DC's Own Tony Lewis Jr. Wins "Best Community Leader"
Home > DMV News > More DMV News > DC's Own Tony Lewis Jr. Wins "Best Community Leader"
For those that don’t know Tony Lewis, Jr.’s story (peep the article The Washington Post wrote on him last year), one word to describe him is inspiring. He’s a positive man trying to make a positive change in his community. 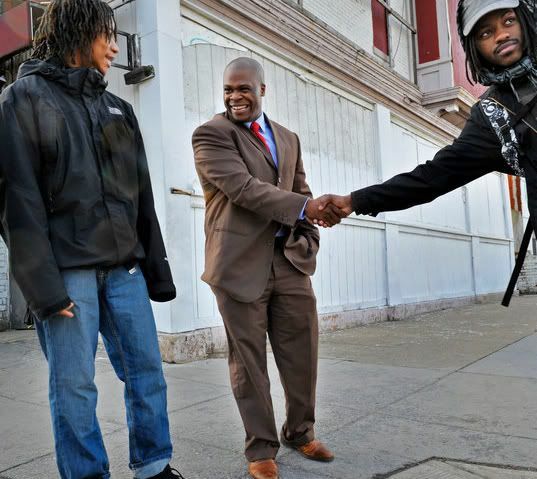 From leading peace marches up and down North Capitol Street to helping and mentoring children with incarcerated parents, Tony Lewis, Jr is an advocate for the people. 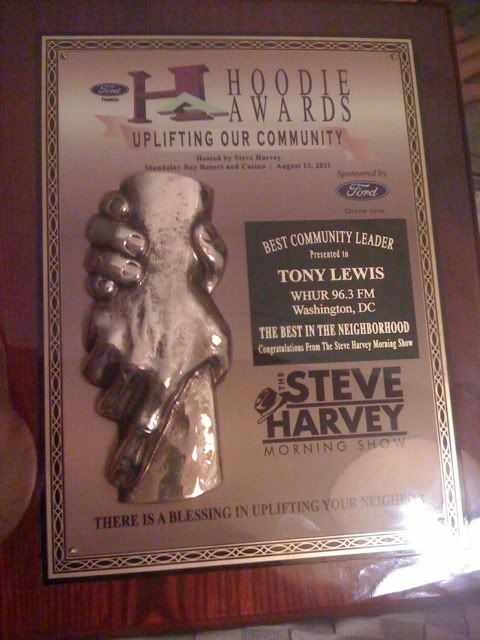 Steve Harvey recognized Tony Lewis as the “Best Community Leader” at the 2011 Ford Hoodie Awards.